MEL BROOKS LIVE IN LONDON, a Brooksfilms Limited and Corniche Pictures event, will be a special one-night only event on Sunday March 22nd, 2015 at 7:30pm at The Prince of Wales Theatre in London. 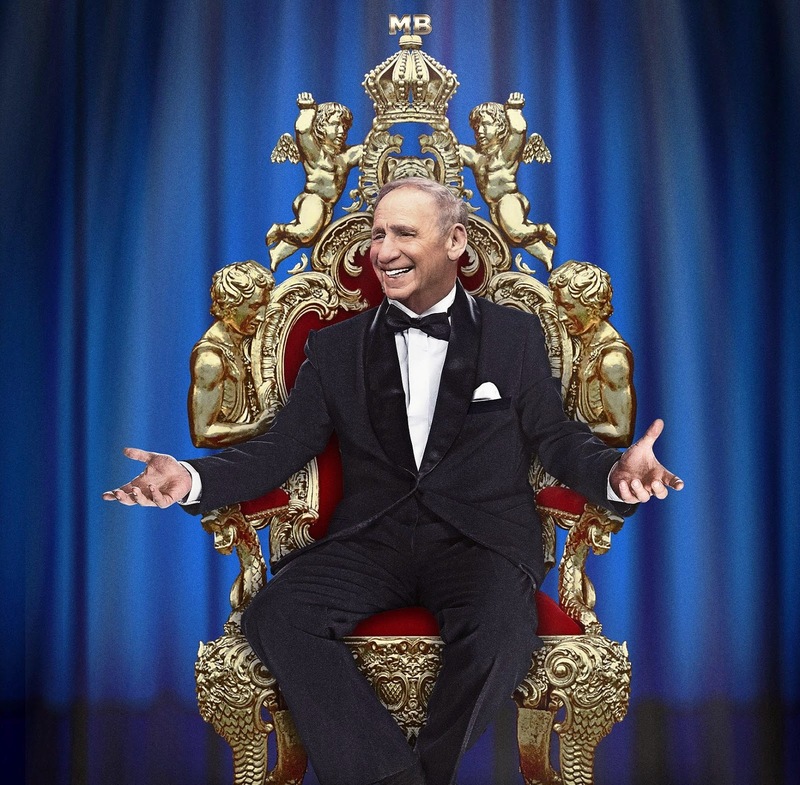 American comedy legend Mel Brooks takes the stage for his first-ever solo show in the UK, sure to be chock-full of childhood memories, Hollywood history, unforgettable live music and uproarious laughter. “I am thrilled to bring this introspective retrospective of my life and career to the West End stage,” said Mel Brooks. “It will be an evening the audience will never forget—whether they want to or not!” Tickets available from Tuesday March 3 via www.delfontmackintosh.co.uk or 0844 482 5115. Mel Brooks is in an elite group as one of the few entertainers to earn all four major American entertainment prizes – the Tony, Emmy, Grammy, and Oscar. His career began in television writing for Sid Caesar’s Your Show of Shows and together with Buck Henry creating the long running TV series Get Smart. He then teamed up with Carl Reiner to write and perform the Grammy-winning 2000 Year Old Man comedy albums & books. Brooks won his first Oscar in 1964 for writing and narrating the animated short The Critic and his second for the screenplay of his first feature film, The Producers in 1968. Many hit comedy films followed including The Twelve Chairs, Blazing Saddles, Young Frankenstein, Silent Movie, High Anxiety, History of the World Part I, To Be or Not to Be, Spaceballs, Life Stinks, Robin Hood: Men in Tights and Dracula: Dead and Loving It. His film production company, Brooksfilms Limited also produced critically acclaimed films such as The Elephant Man, The Fly, Frances, My Favorite Year and 84 Charring Cross Road. For three successive seasons, 1997-1999 Mel Brooks won Emmy Awards for his role as “Uncle Phil” on the hit sitcom Mad About You. Brooks received three 2001 Tony Awards and two Grammy Awards forThe Producers: the New Mel Brooks Musical, which ran on Broadway from 2001 to 2006. Overall the show received 12 Tony awards and The Producers still holds the record for the most Tony awards ever won by a Broadway musical. He followed that success with The New Mel Brooks Musical Young Frankenstein, which ran on Broadway from 2007 to 2009 and both musicals continue to be performed and enjoyed by audiences all over the world. In 2009 President Barack Obama presented Mel Brooks with The Kennedy Center Honors, recognizing a lifetime of extraordinary contributions to American culture. Hani Farsi and Corniche Pictures have produced critically acclaimed feature length films and documentaries over the last 8 years as well as developing projects for TV and theatre. Projects such as ‘20,000 Days on Earth’ - the documentary about Nick Cave, and ‘The Reluctant Fundamentalist’ were Executive Produced by Hani Farsi. “I have been a Mel Brooks fan all of my life and his incredible career is something that I have personally celebrated for many years. Being able to co-produce his London show gives me the opportunity to celebrate with him and the people of London. It will be an amazing night and one not to be missed, “ said Hani Farsi. MEL BROOKS LIVE IN LONDON is a Brooksfilms Limited and Corniche Pictures Production; executive producers, Mel Brooks & Hani Farsi; producers, Kevin Salter & Alex Dunnett; written by Mel Brooks.